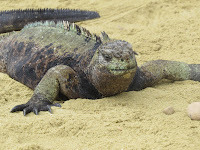 Iguanas are one of the most ubiquitous and interesting characters in the Galapagos Islands. In reading my earlier post, you will have learned that they are the only ones who forage on both the land and in the sea. 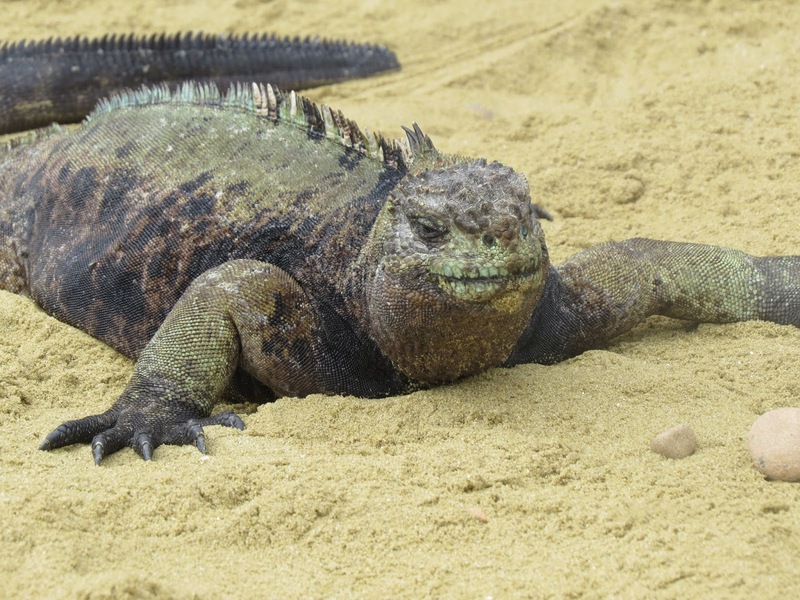 But, here’s another very interesting fact: the iguanas on each and every island are different. 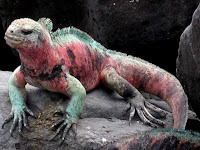 They have adapted to their environments in coloration and size based on the available food sources as well as the lava rock on which they rest and camouflage themselves. 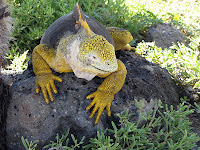 Here, through photographs, are examples of the colors and differences of the iguanas on many of the Galapagos Islands. The largest of all the land iguanas resting on a pillow on Sante Fe. Iguanas in the middle of the road outside of the Charles Darwin Research Station, Santa Cruz. 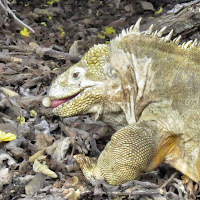 Symbiotic relationship between iguana and lava lizard. Iguanas ready for a fight to the finish on Isabela with indifferent bystanders. 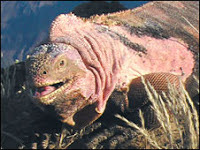 The loser in the aftermath of an iguana fight. Don't forget to browse throughout the blog at blog.galapagosecolodge.net and to visit our website at galapagosecolodge.net. We'd love to hear your feedback as well.